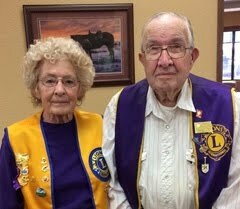 Although 75 years have elapsed since the Belle Fourche Lions Club was chartered in October of 1936, the club has carried on its tradition of service throughout the community. More than 70 folks packed The Mulligan at the Belle Fourche Country Club Saturday evening (10/29/11) for a dinner gathering to celebrate their 75 years of service. 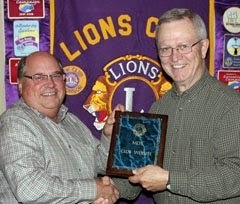 Lion Bob Morris served as Master of Ceremonies. 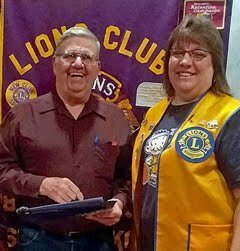 Numerous Lion leaders from outside the community joined in the festivities, including District Governor Wanda Mitchell of Custer. 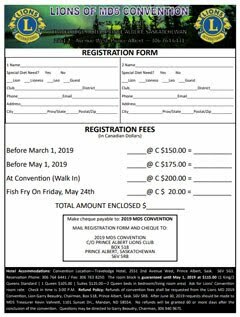 Keynote speaker for the event was a past International Director of Lions Clubs, Randy Heitmann of Cambridge, Nebraska. “It is apparent that your club is a mainstay in the community,” Heitmann told the gathering. 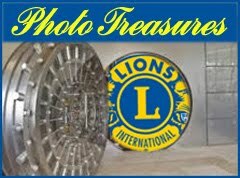 Club president Brian Kline provided a brief glimpse of key Lions projects over the years, ranging from sponsoring a mobile health van and supplying eyeglasses for needy residents to community projects like construction of park shelters and restoration of the Johnny Spaulding cabin. 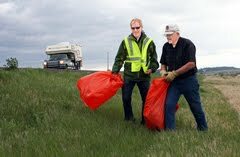 Most recently, the club helped build a community disc golf course along the Belle Fourche River waterfront. 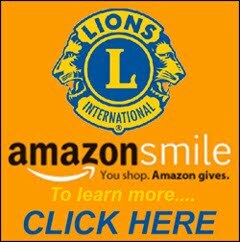 And Lions are always on hand to help with the All-Car Rally and the Black Hills Roundup. 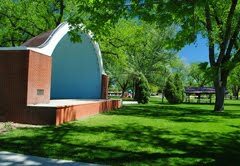 Last spring, the club was presented the Belle Fourche Chamber of Commerce Community Pride Award for 2011. 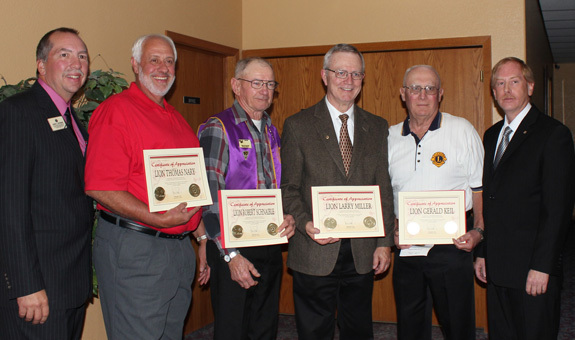 As part of the 75th anniversary celebration, Lion Randy Heitmann (far left) presented Certificates of Appreciation from International President Wing-Kun Tam to four Belle Fourche Lions for their work on behalf of Lions. Recipients are shown holding their certificates in the photo above. Left-to-right are Lions Tom Nary, Bob Schnaible, Larry Miller, and Gerald Keil. Club president Brian Kline is at right. You'll find a few photos from this very special event in our 75th Anniversary Gallery. 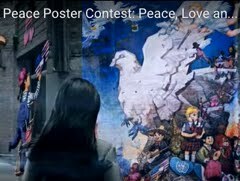 We've also assembled a short video, and you'll find a link to it in the column to the right.